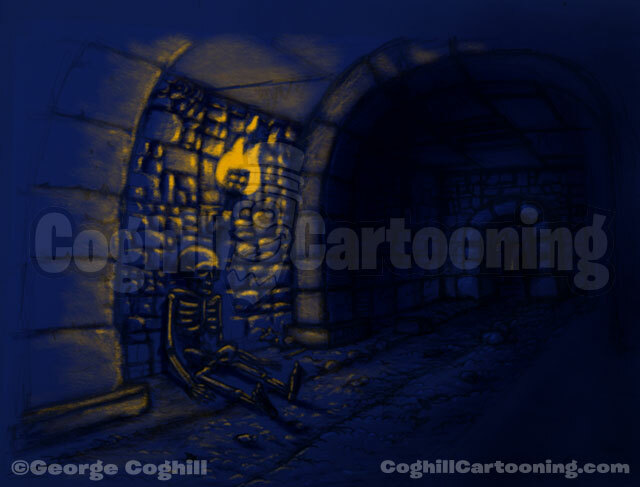 Cartooning and illustration art posts featuring the digital vector art cartoons of vector artist, cartoonist & illustrator George Coghill. 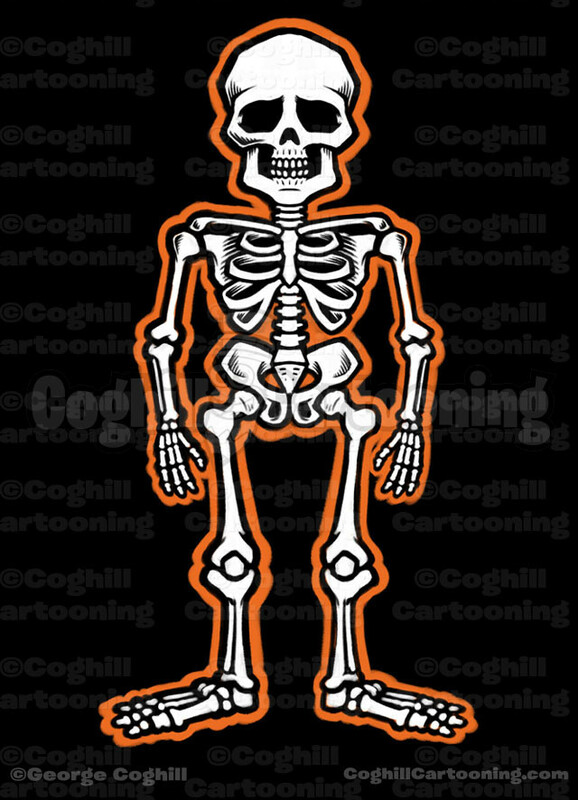 A fun cartoon-style skeleton illustration. 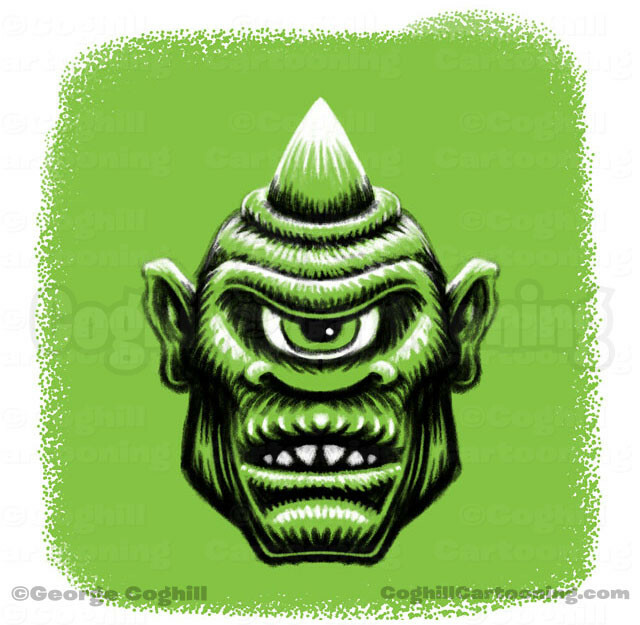 This guy will be featured on some upcoming merchandise for sure. 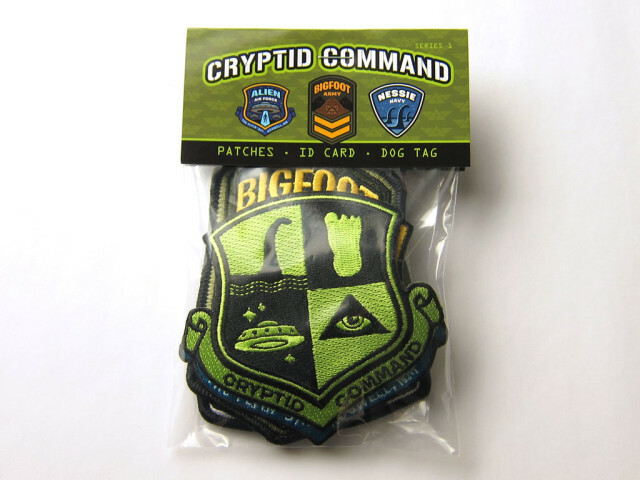 “Cryptid Command” Patches Now Available! 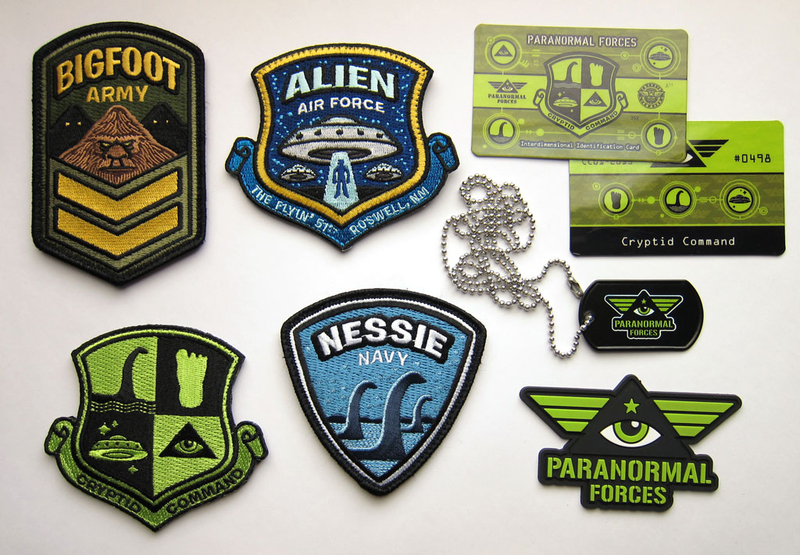 Thanks to all the awesome backers on the Cryptid Command campaign on Kickstarter, I was able to get this paranormal-themed embroidered patch and merchandise set created. 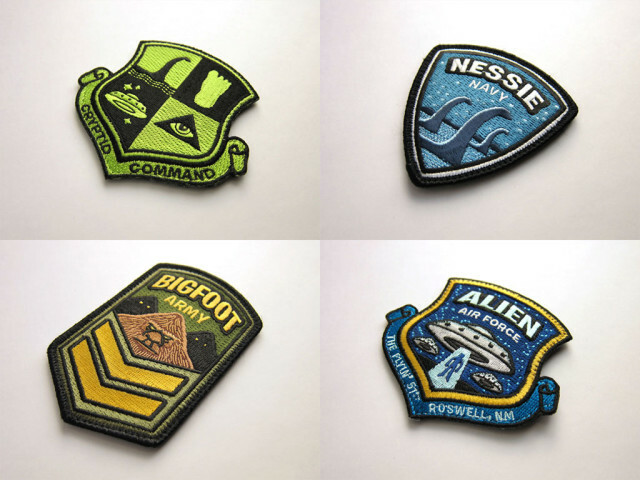 The Cryptid Command patches are now available over on my Monsterologist shop. 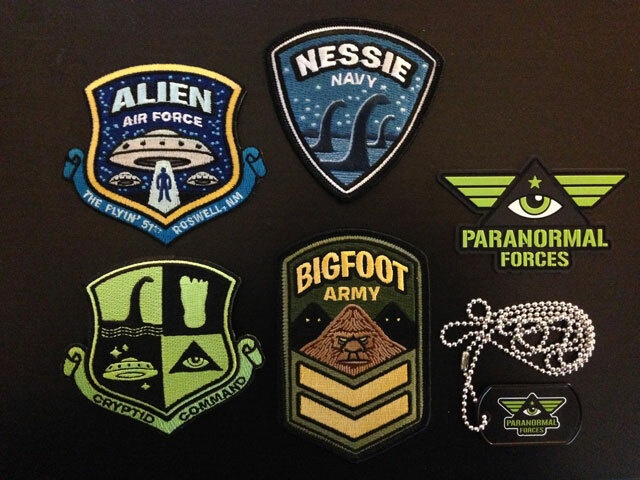 Featuring 4 super[natural] embroidered patches, a dog tag and an I.D. card, and a PVC emblem (soft rubber dimensional patch). 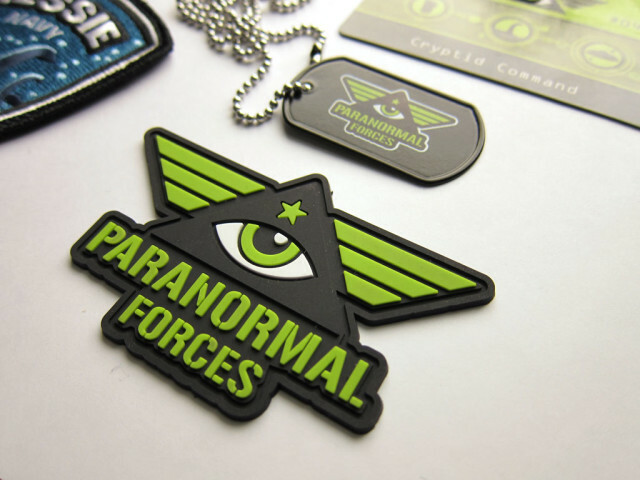 • The “Paranormal Forces” logo PVC emblem. 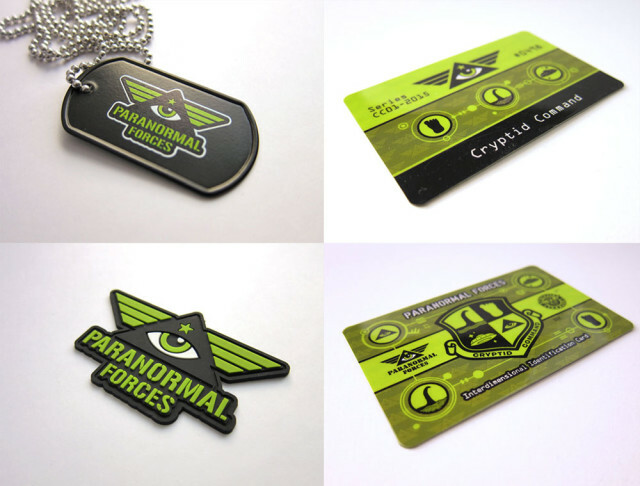 • Metal dog tag with the Cryptid Command shield and the Paranormal Forces logo, printed on each side. The kit is available with either standard plastic backing or Velcro-backed patches and emblems. This sketch of a superhero roller derby girl was created for a client’s animation project which didn’t end up going past the concept stage. 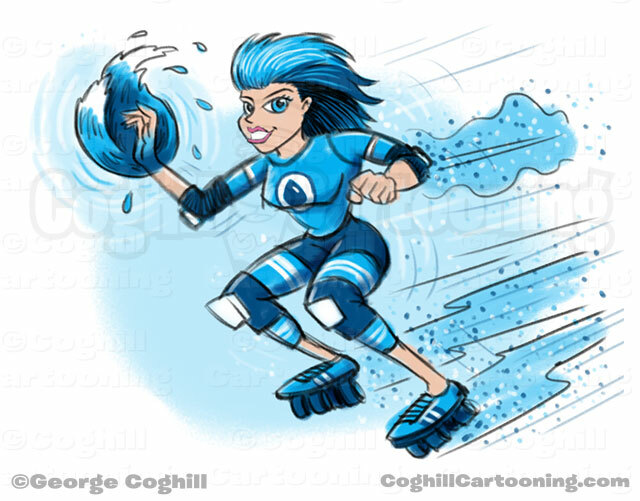 There were of course a team of roller derby girls, each with their own powers, signature color and element. This girl’s element was obviously “water”. 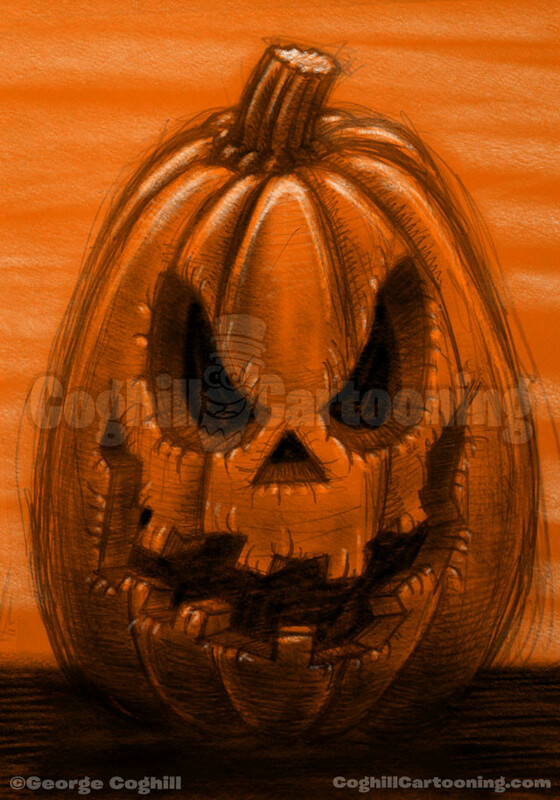 I liked how this turned out, and it was fun to work in this more realistic cartoon style. I also enjoy coming up with variations on a theme, so I was looking forward to developing the rest of the characters in the group. “Ghost Guard” Glow-In-The-Dark Embroidered Patch on Kickstarter! 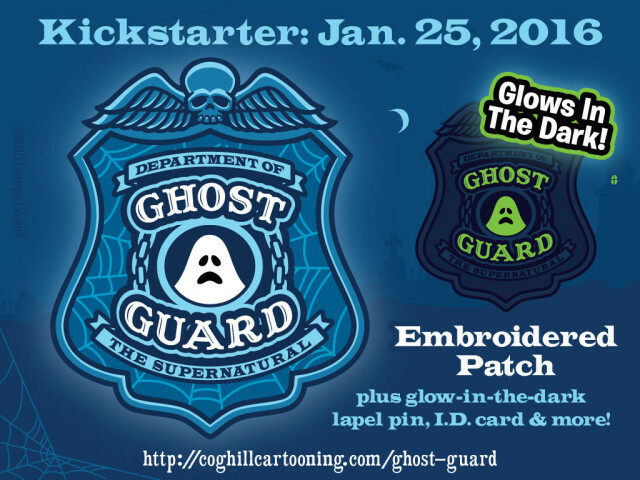 Coming to Kickstarter on January 25, 2016: Ghost Guard! Featuring a glow-in-the-dark embroidered patch, lapel pin and I.D. card, with reward levels that include original art, limited edition item sets and Kickstarter-only exclusives. Be sure to sign up for my email newsletter to get the secret code which will qualify you for a subscriber-only bonus stretch goal item if you pledge on day one of the campaign! And bookmark http://coghillcartooning.com/ghost-guard now, and when the campaign goes live that link will redirect you right to the camping page on Kickstarter.